Starved Studio Ghibli fans now have something new to look forward to. Yesterday, Ghibli veterans, under the auspices of Studio Ponoc, released a trailer for a fantastical, Ghibliesque movie called Mary and the Witch’s Flower, slated for Summer, 2017. 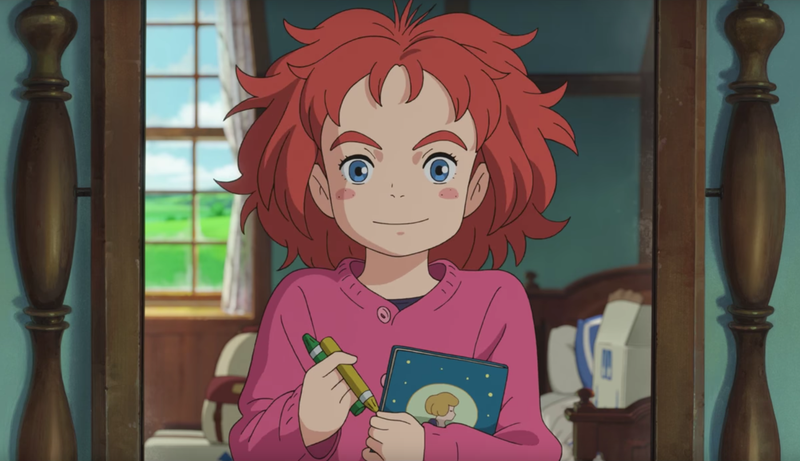 Based on Mary Stewart’s The Little Broomstick, in which a girl discovers a magical broomstick in the woods, Mary and the Witch’s Flower will have everything you’d expect from an OG Miyazaki film: a strong, girl protagonist, a black cat, rolling, green hills, magical drama and skyfights against flying, squirmy fish monsters. Studio Ghibli announced they’d take a break in 2014. Not long after, Hayao Miyazaki claimed he’d go into retirement—a claim he’s gone back on several times. Most recently, in November, Miyazaki said he’s come out of retirement to help with Boro the Caterpiller, originally an animated short that Miyazaki is expanding into a feature-length film. Mary and the Witch’s Flower looks promising and, if you’re a diehard Ghibli fan, you’re bound to have some feels watching the trailer.